Serving up the freshest, most sustainable seafood alongside the highest quality, farm-fresh local produce, Jax has quickly become an Old Town favorite. WELCOME TO “PORT” COLLINS! 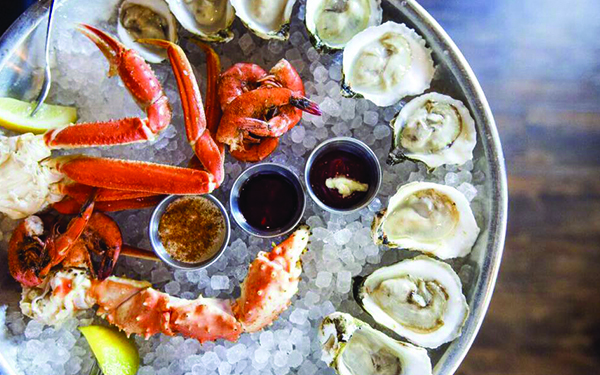 Serving up the freshest, most sustainable seafood alongside the highest quality, farm-fresh local produce, Jax has quickly become an Old Town favorite. Jax Happy Hour never disappoints, with the ever-lively Oyster Bar and a selection of locally brewed craft beers & handcrafted cocktails. With so much fresh fish, they ought to change the city’s name to “Port” Collins! Show your same-day ticket and get either an order of calamari or a 1/2 dozen oysters, shucker's choice, with the purchase of an entree.